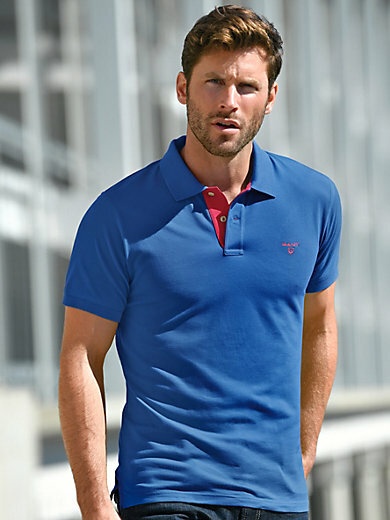 Polo shirt by GANT with 1/2-length sleeves. Comfortable, high-quality, slightly elasticated piqué with contrasting details and GANT identity embroidery at the front. 96% cotton, 4% elastane. The polo shirt is machine washable. 48 (S), 50 (M), 52 (L), 54 (XL), 56 (XXL), 58 (XXXL).